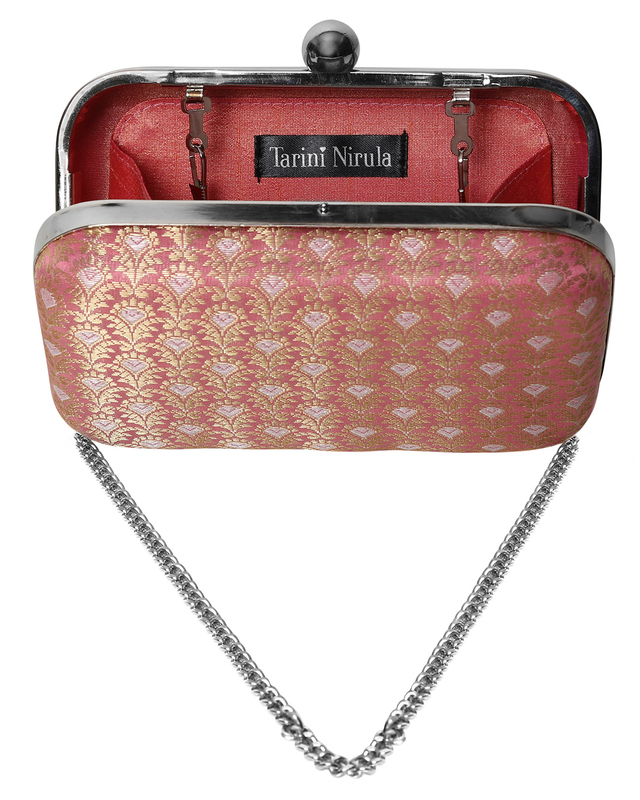 Carry the 'Rosa' handcrafted minaudière, and let your inner femininity shine through. 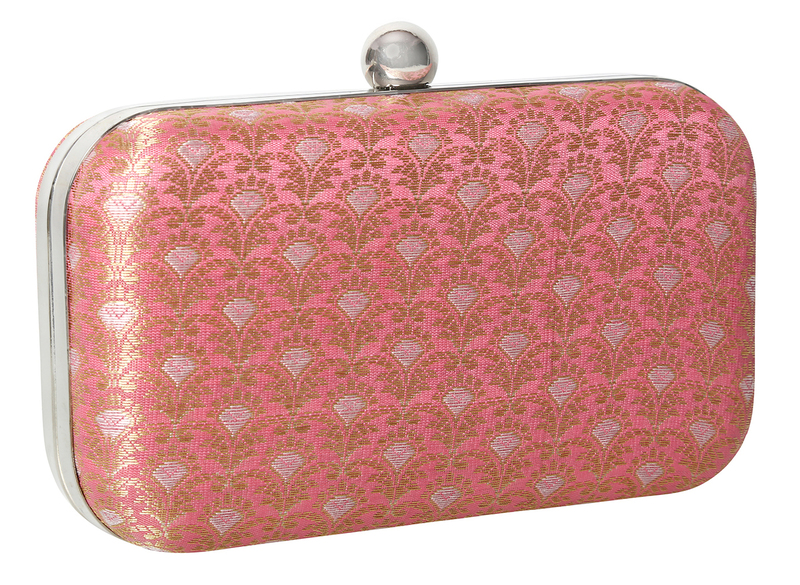 This piece has pretty shades of pink, light gold and silver, making it a versatile design to carry with your outfits. 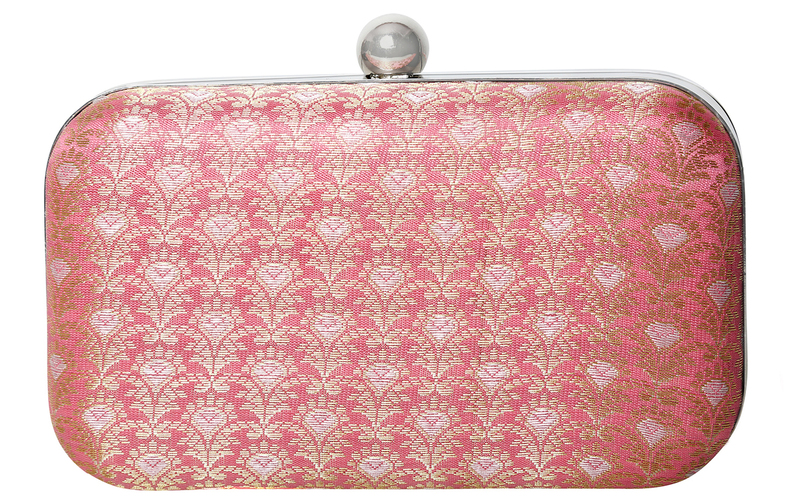 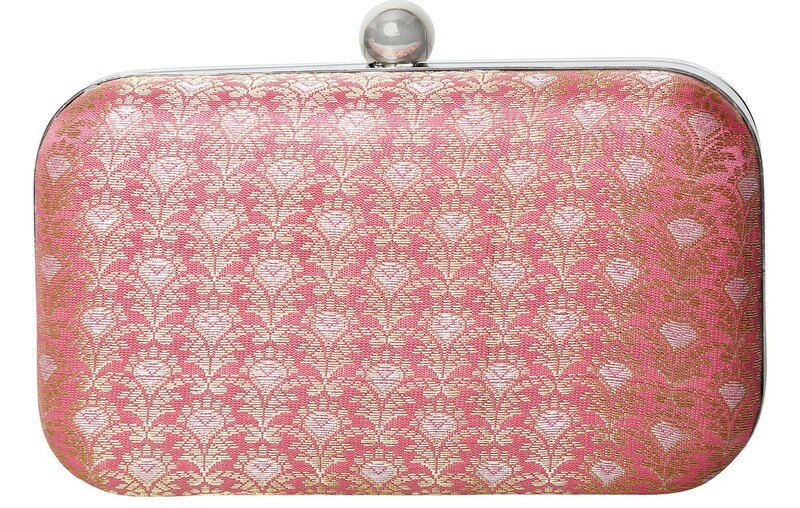 MATERIAL: Rose pink brocade fabric, Pink poly dupion lining, Silver frame with round clasp, Silver chain. 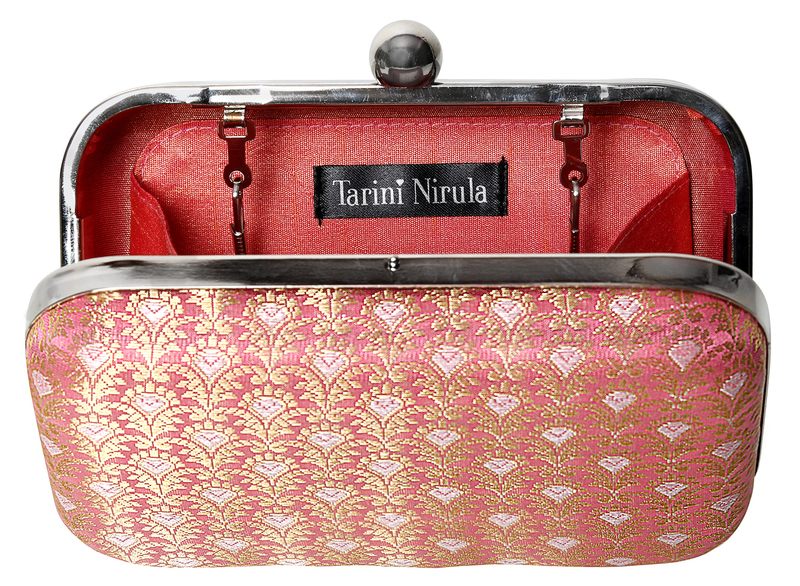 CARE: Handle with care, store in waterproof bag, keep away from dust, not washable.Handcrafted and made with love!